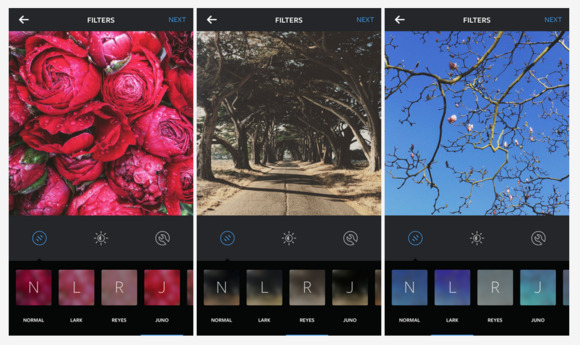 Tired of your go-to Instagram filters? Meet Lark, Reyes, and Juno, Instagram’s newest additions to your creative toolbox. The new filters are inspired by outdoor adventures, the company said Monday. Lark is designed for landscapes shots, emphasizing blues and greens while desaturating reds. Juno punches up warm tones and whites, perfect for people shots, while Reyes adds a “dusty, vintage look” to your outdoor images. Monday’s update also includes a slightly different look for hearts and comments, plus the ability to use emoji hashtags. That’s right: Instagram now recognizes hashtagged emoji. I’m not sure how useful filtering photos by the winky-face emoji will be, but go nuts.